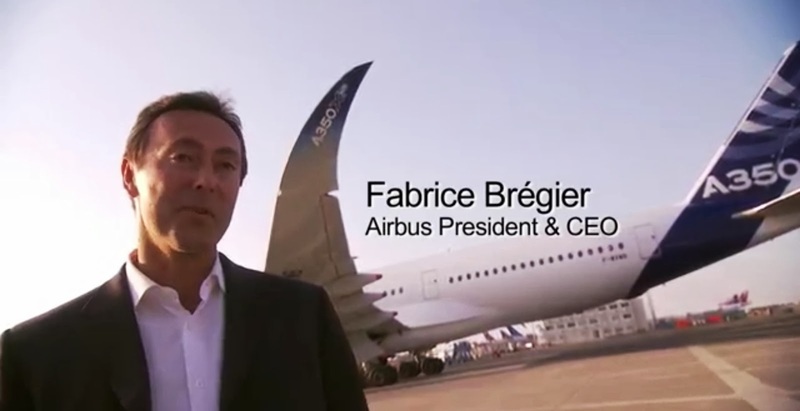 Click here to watch the video1. 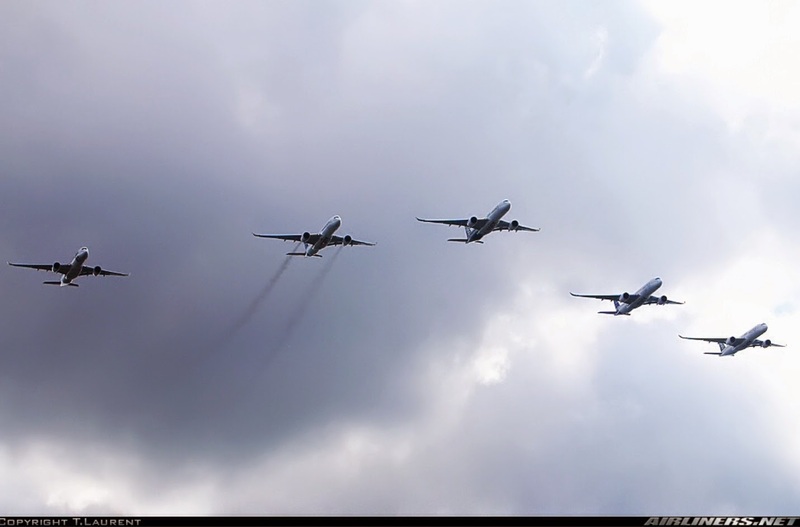 Click here to watch.the video2. 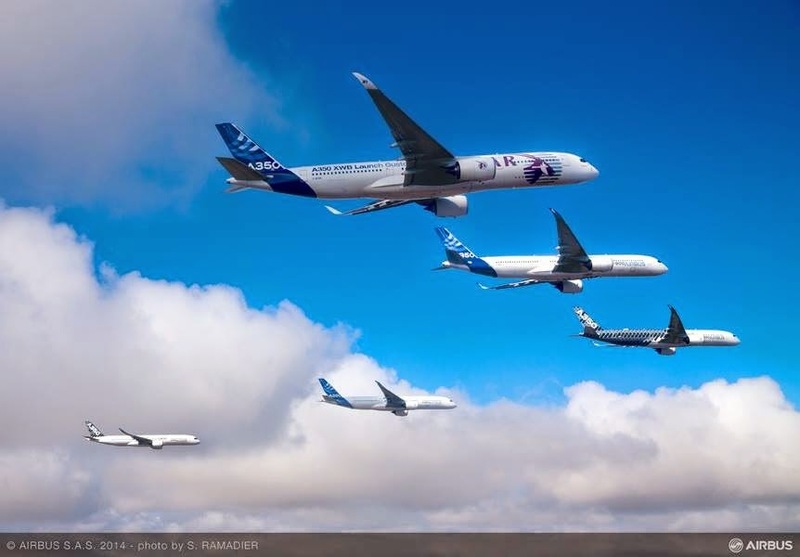 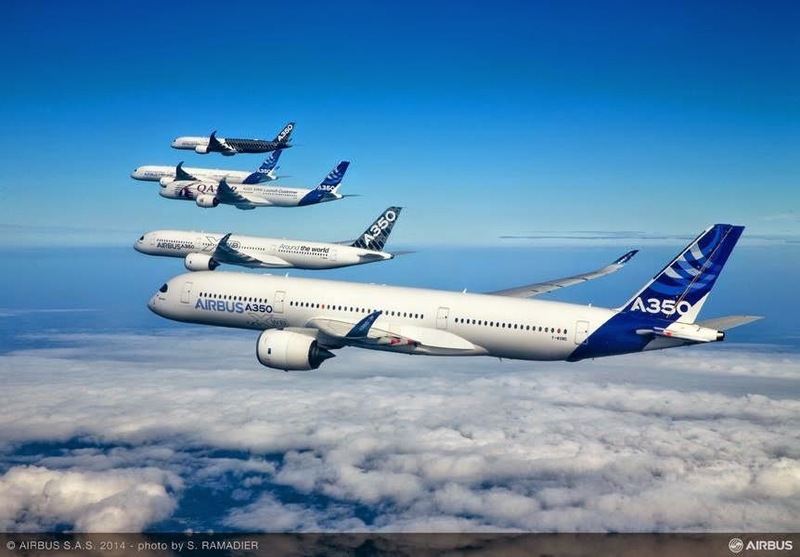 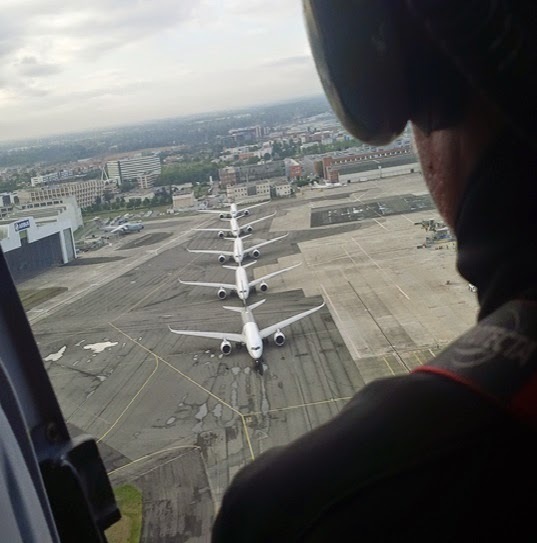 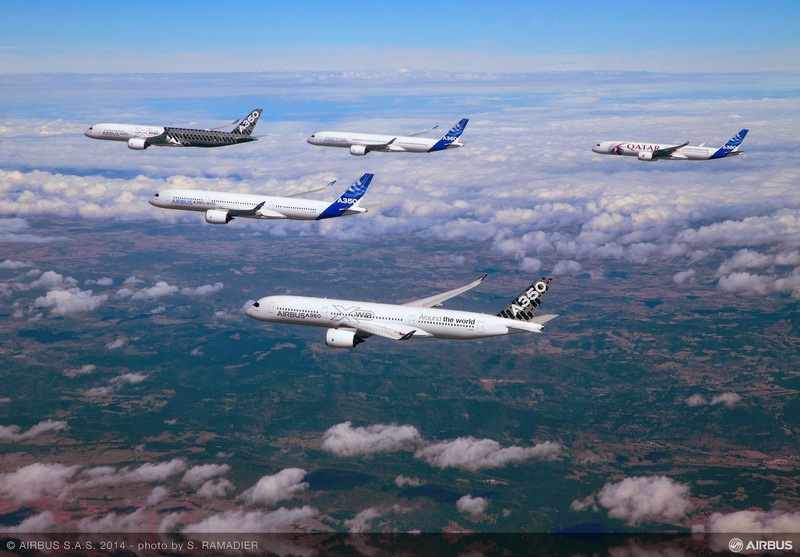 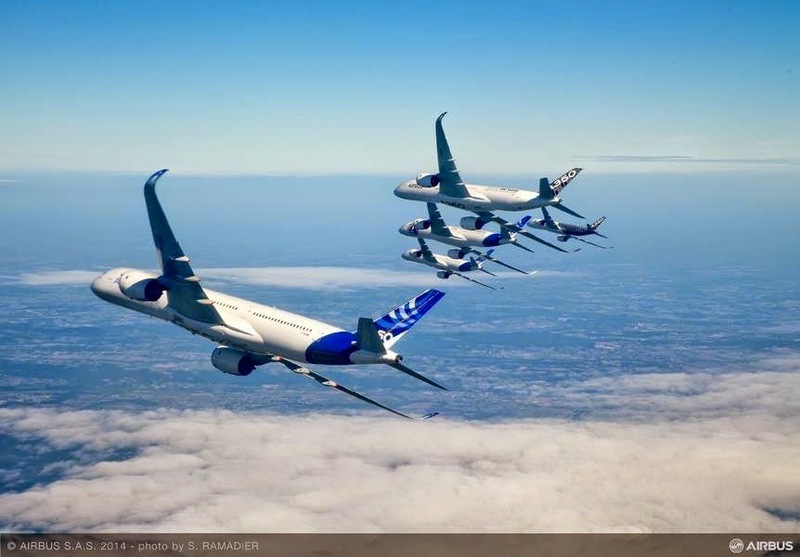 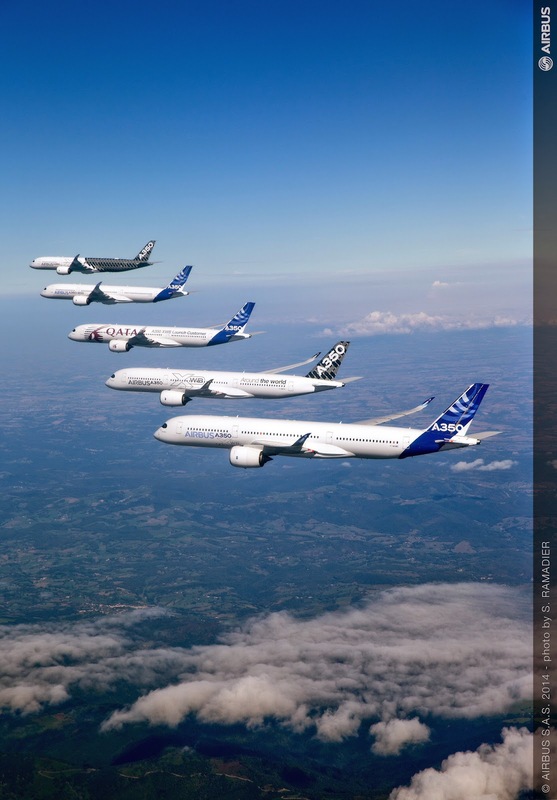 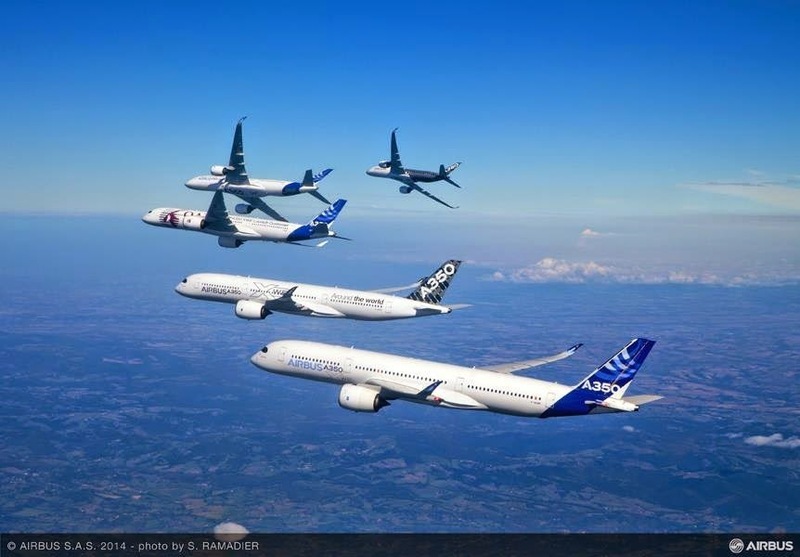 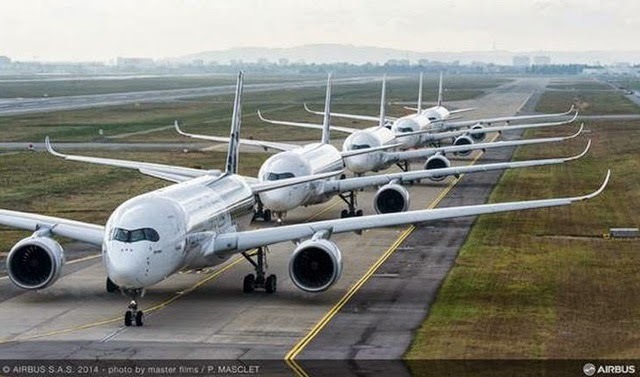 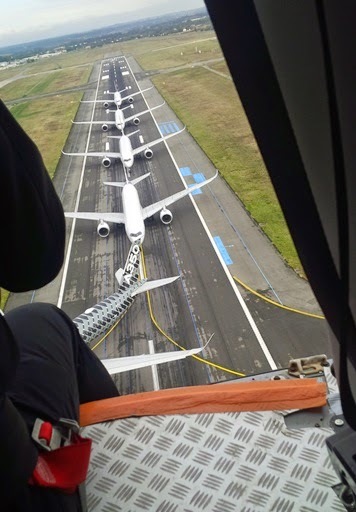 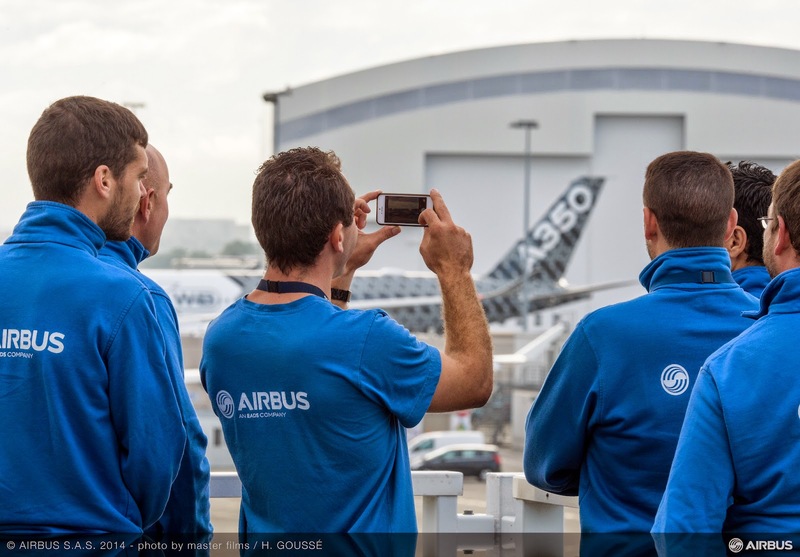 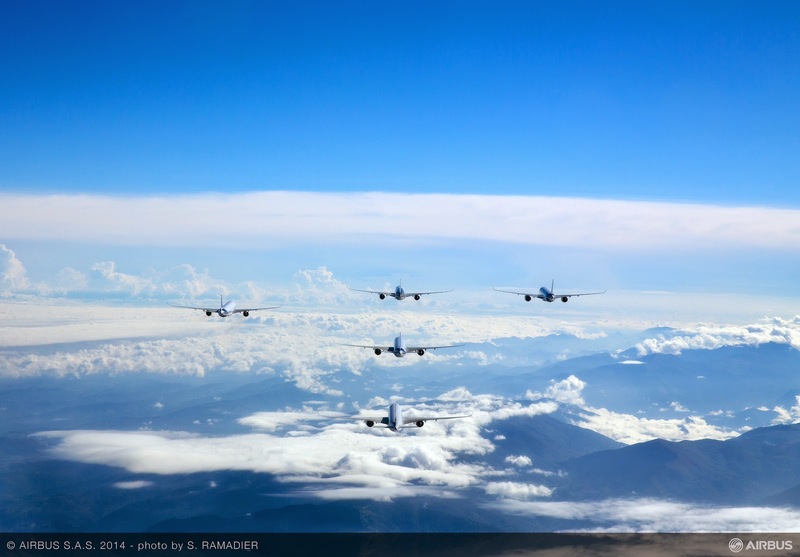 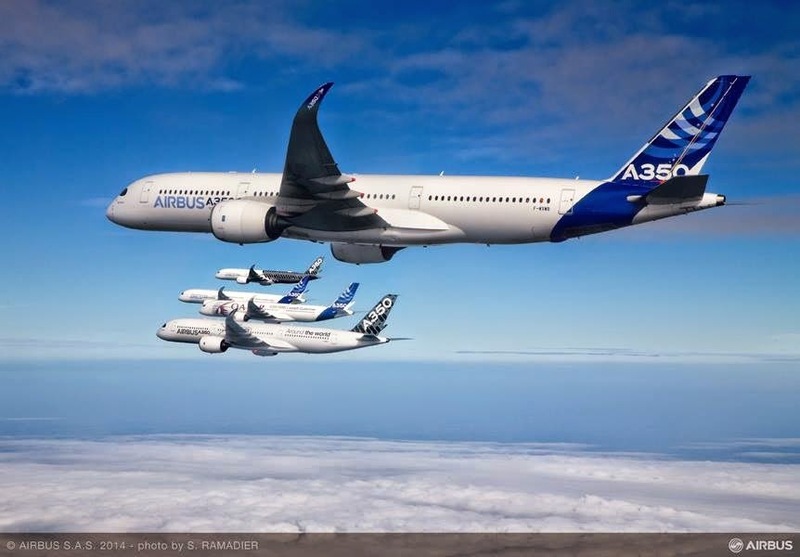 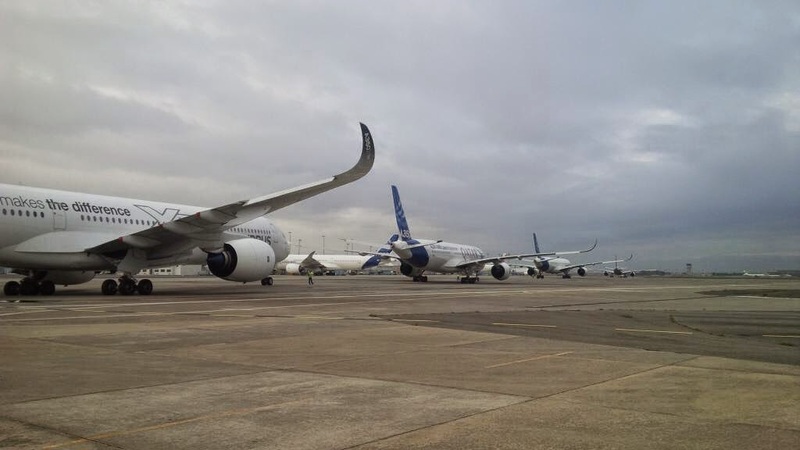 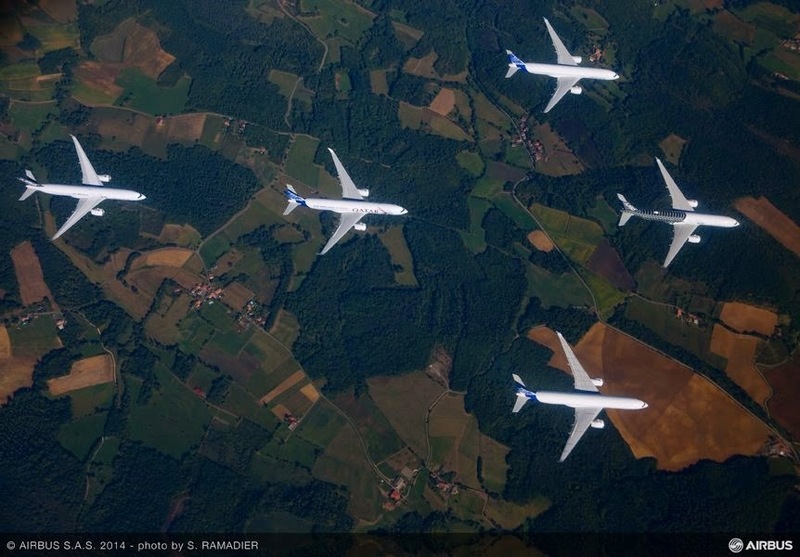 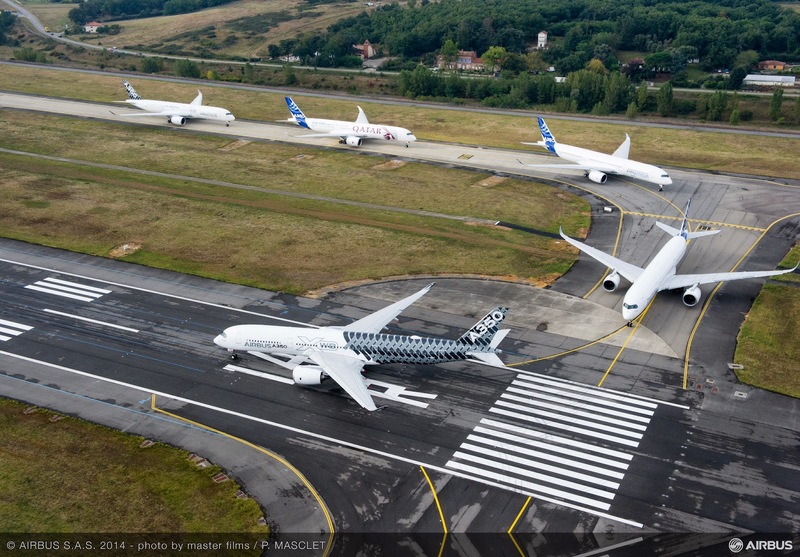 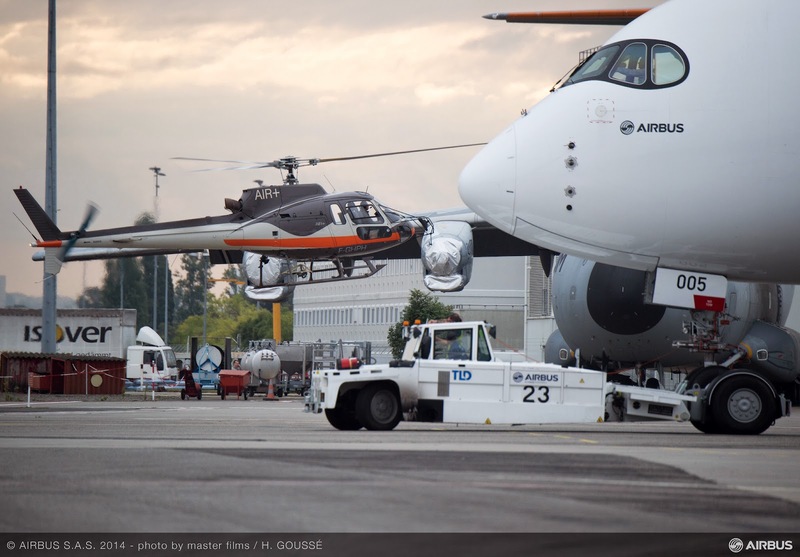 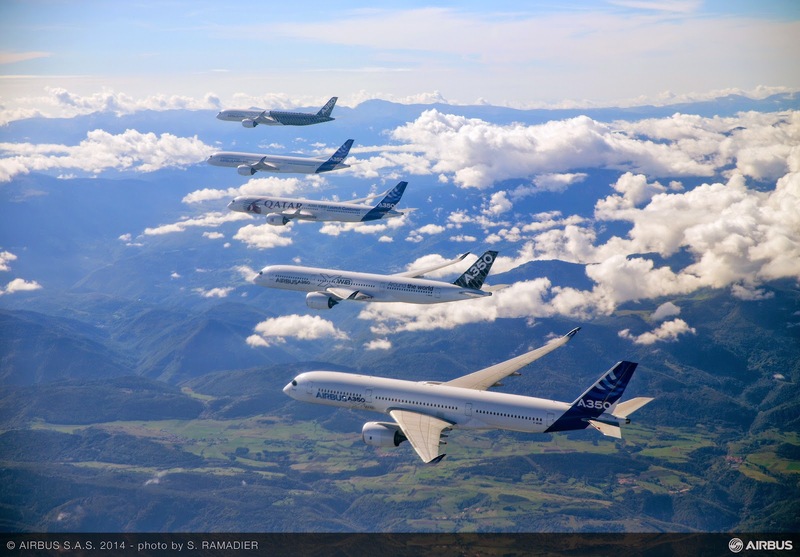 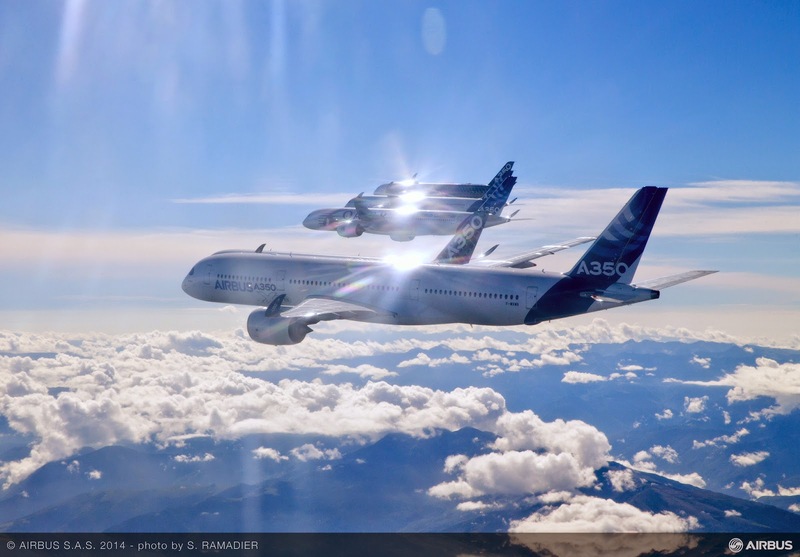 All 5 aircraft in the Airbus A350-900 test fleet have taken part in a formation flight, ahead of certification of the type. 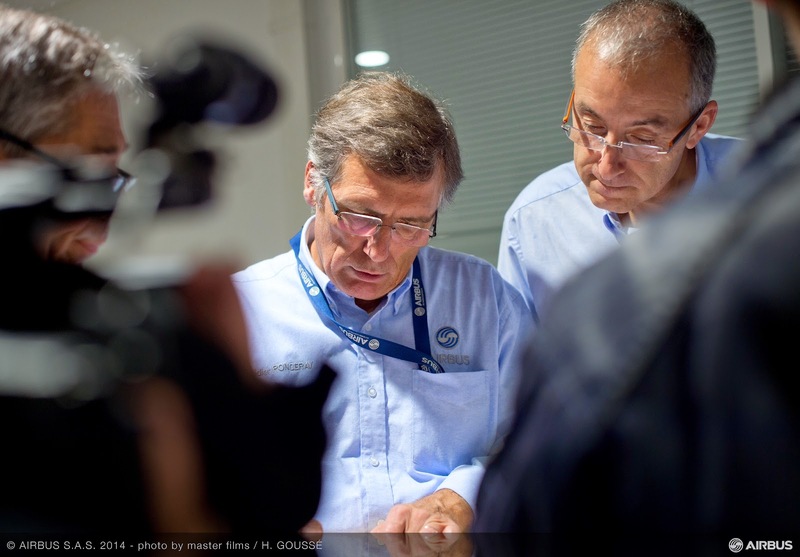 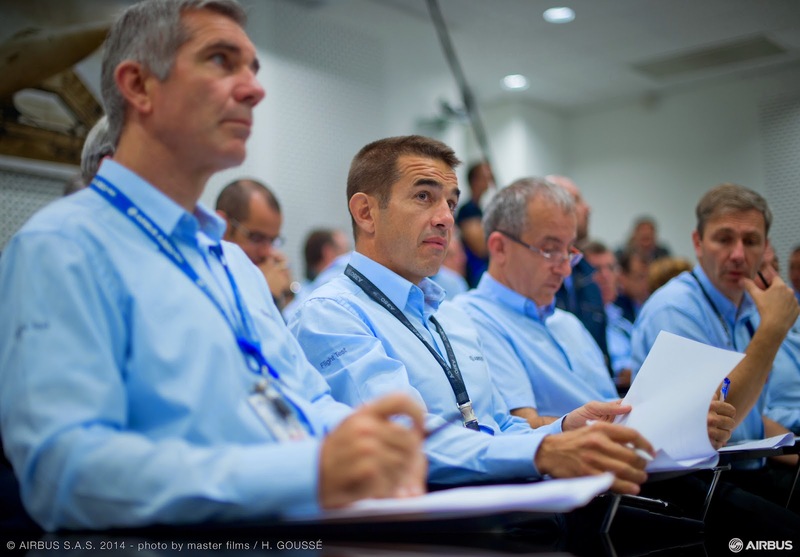 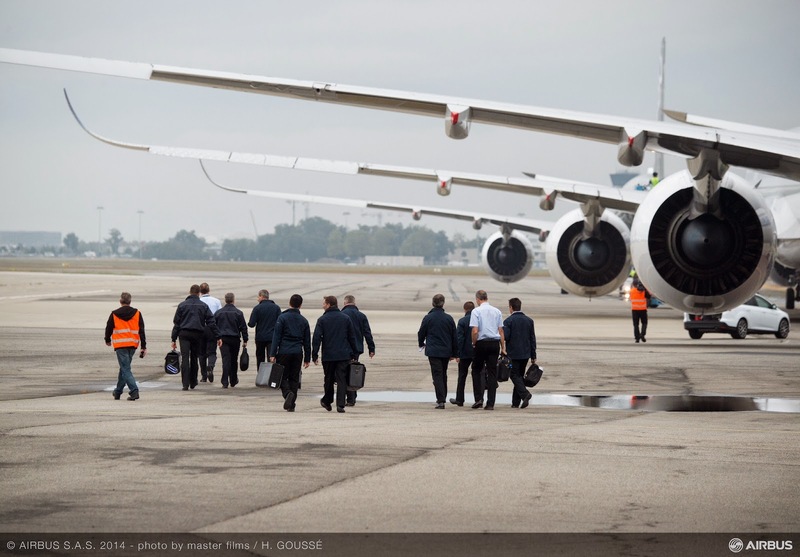 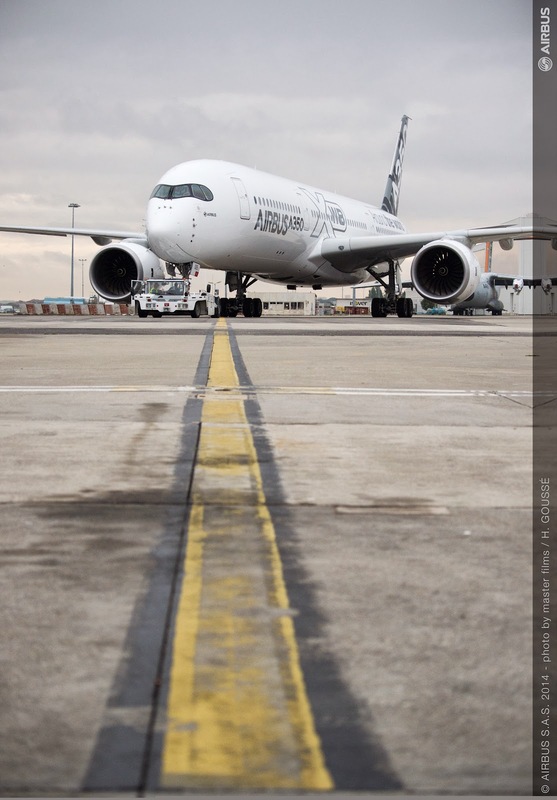 Using the callsign ‘Carbon’, the aircraft departed Toulouse’s runway 14R at about 10:30, led by the first cabin-fitted airframe MSN2. 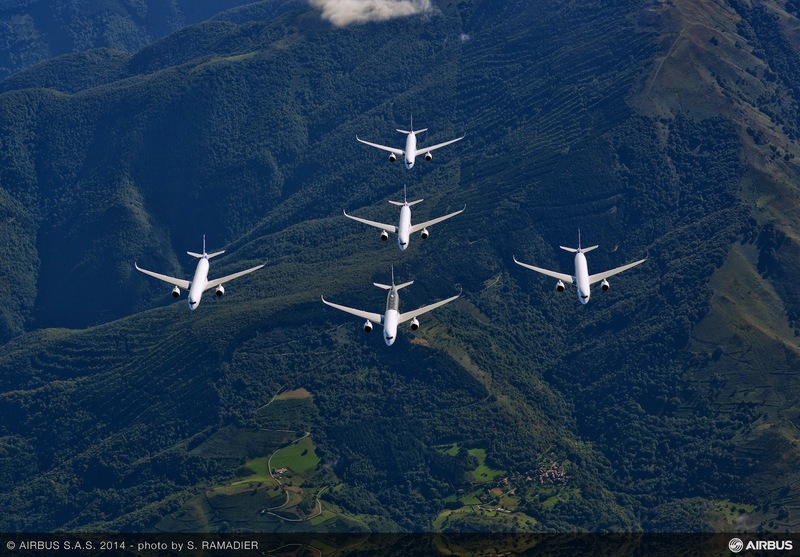 The formation subsequently joined up and performed several east-west flights parallel to the Pyrenees mountain range. 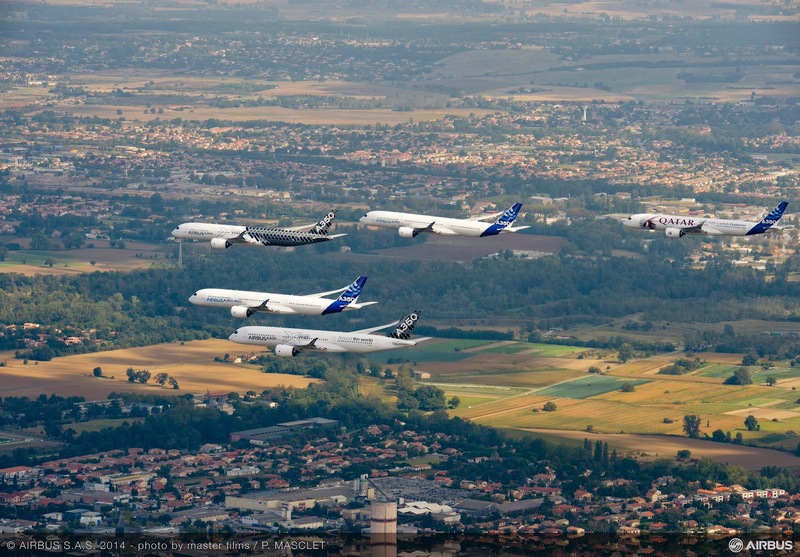 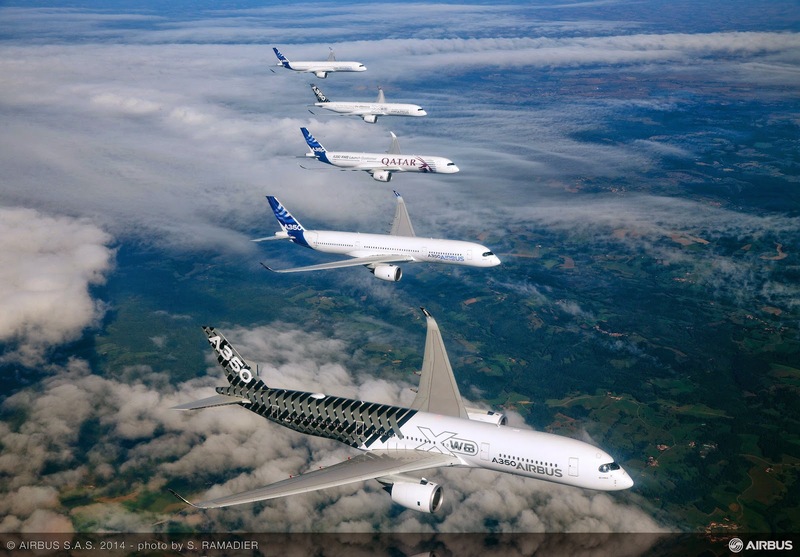 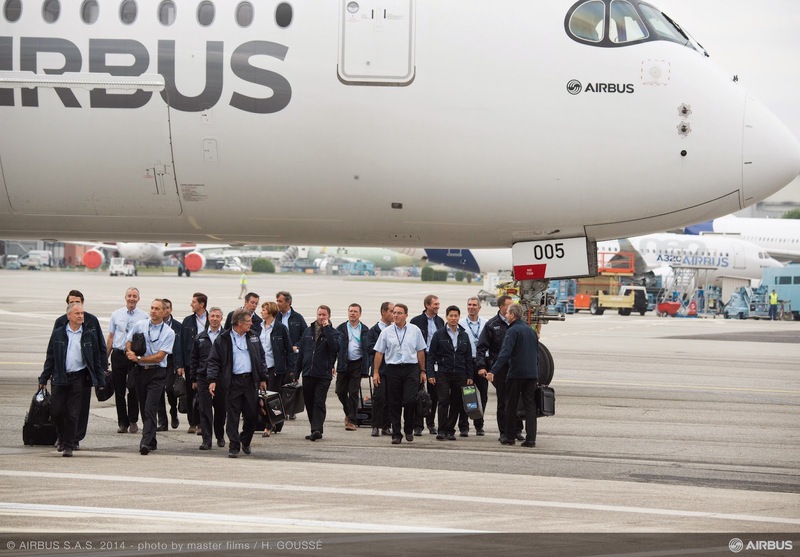 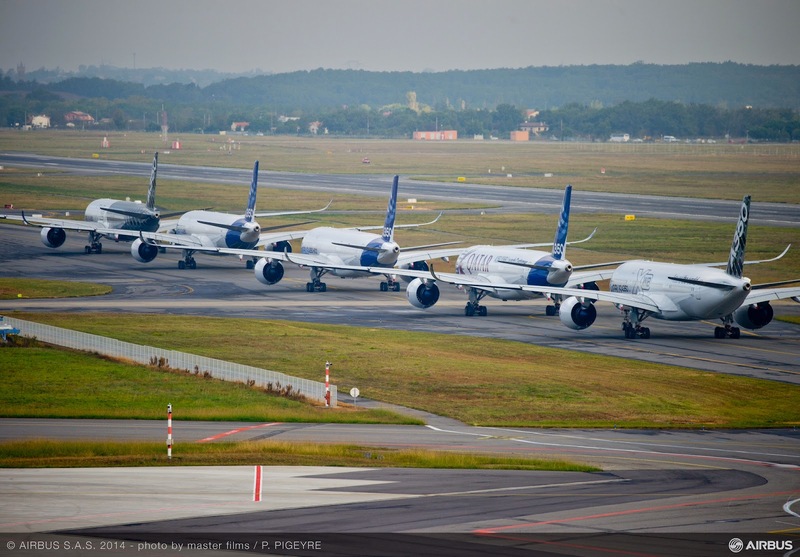 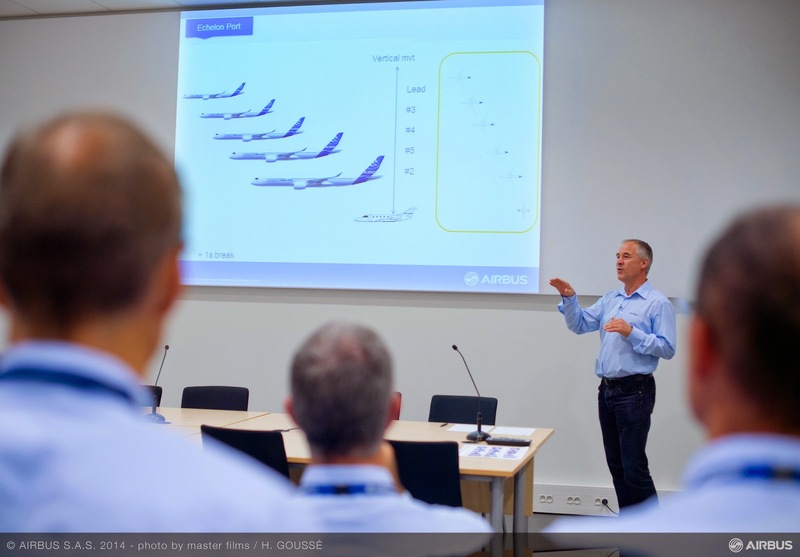 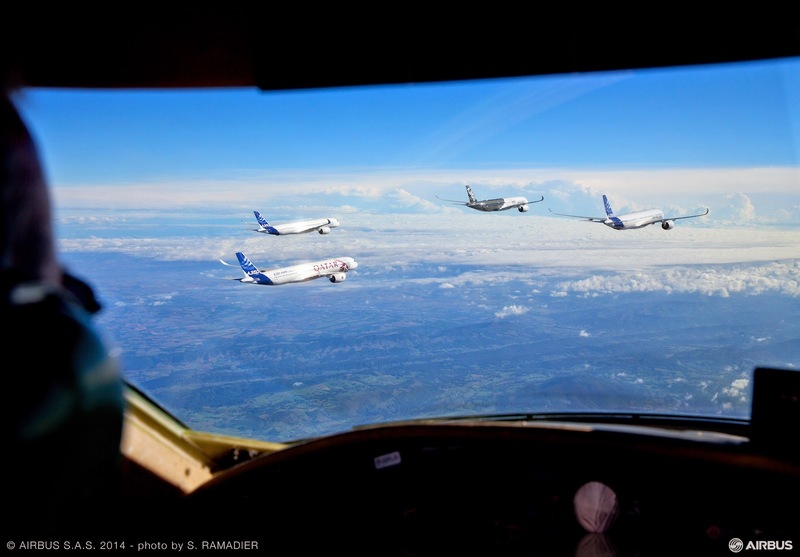 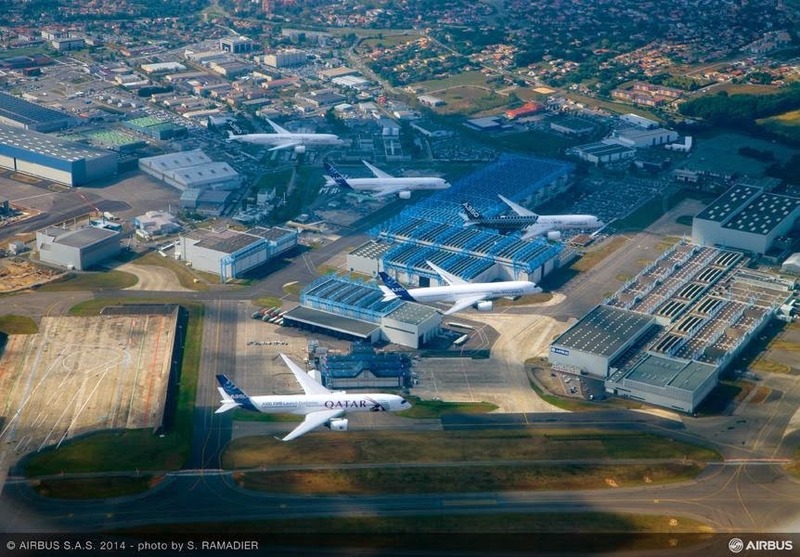 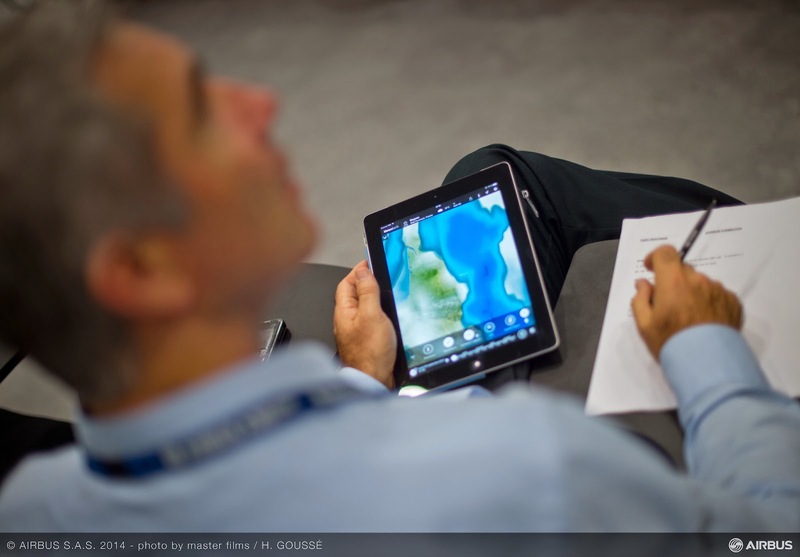 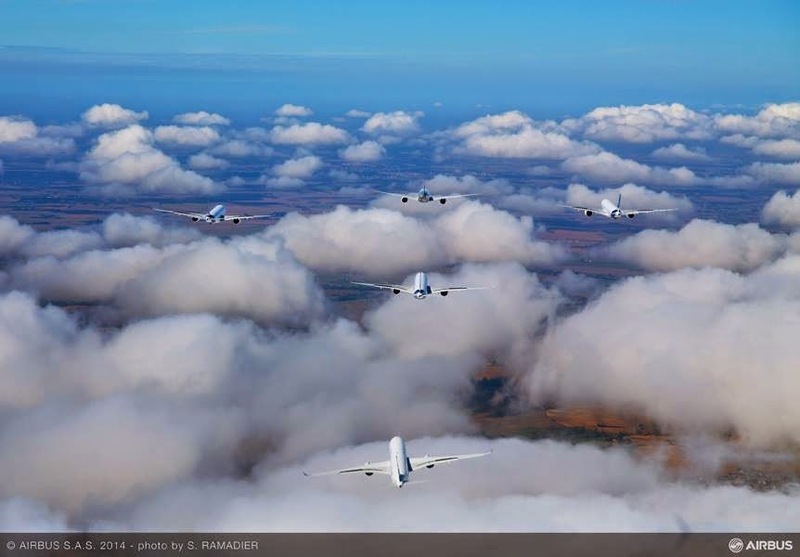 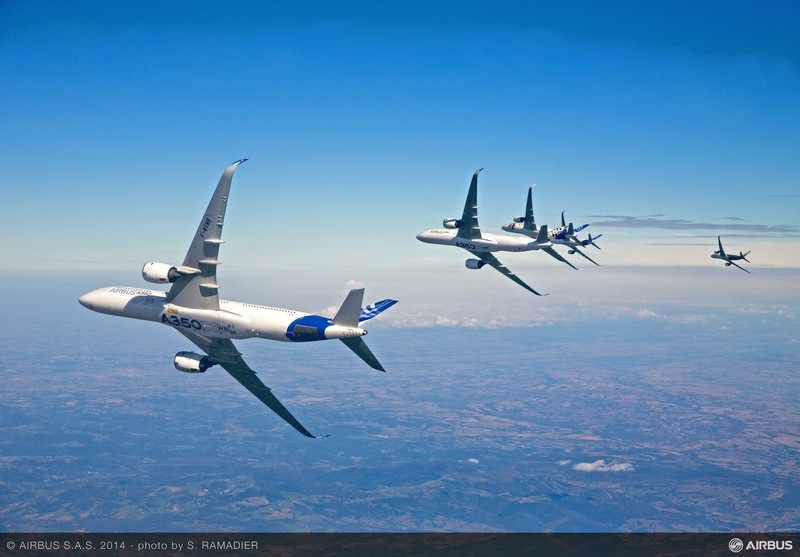 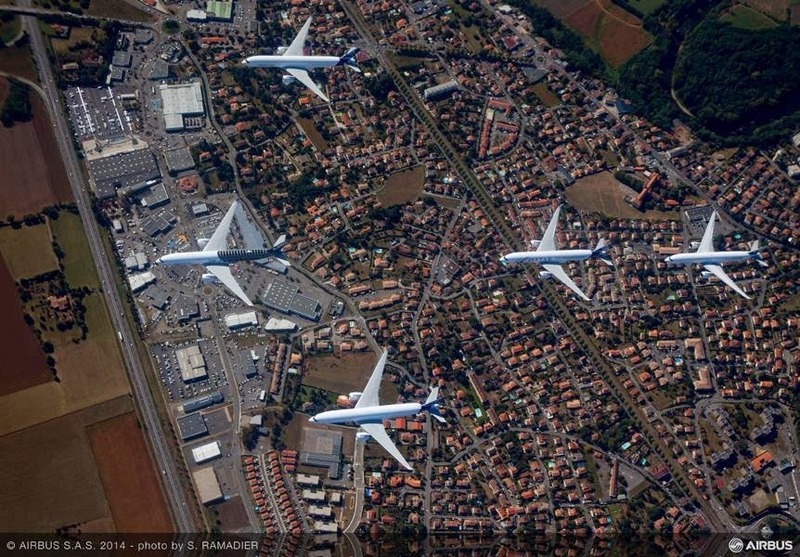 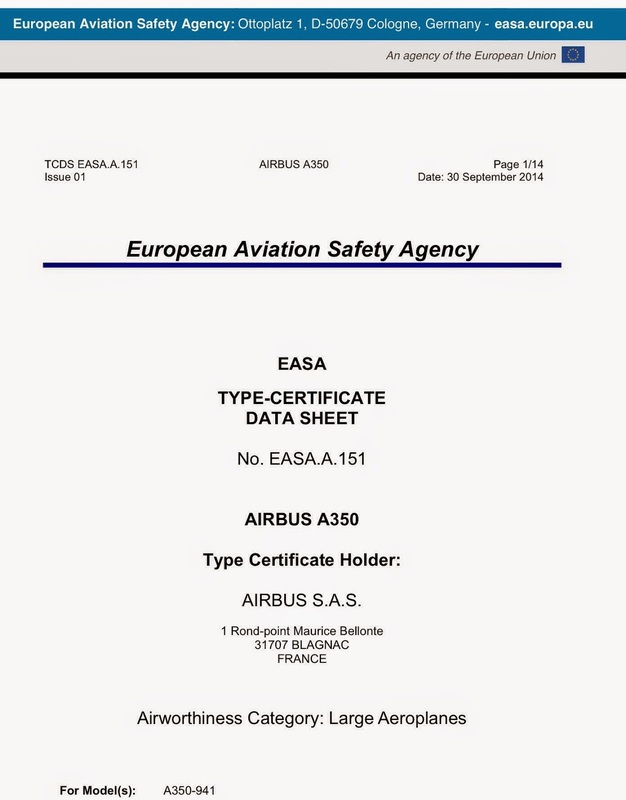 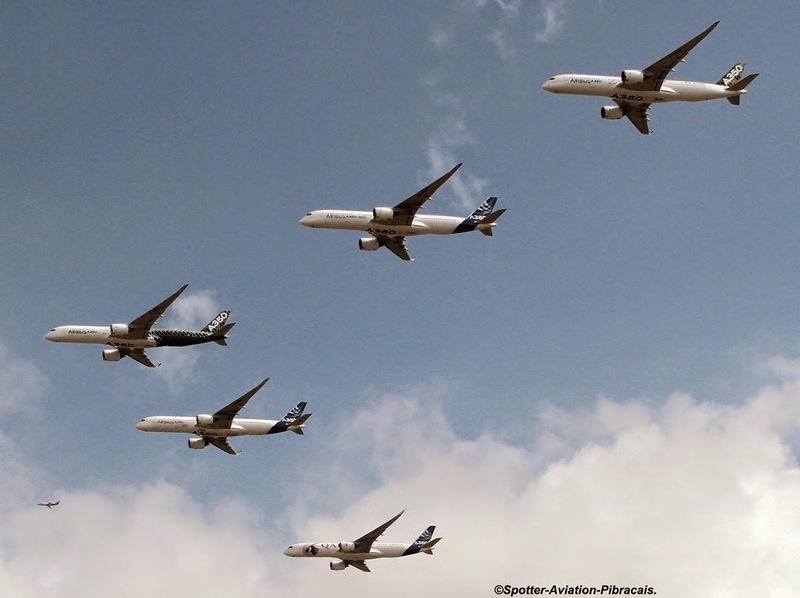 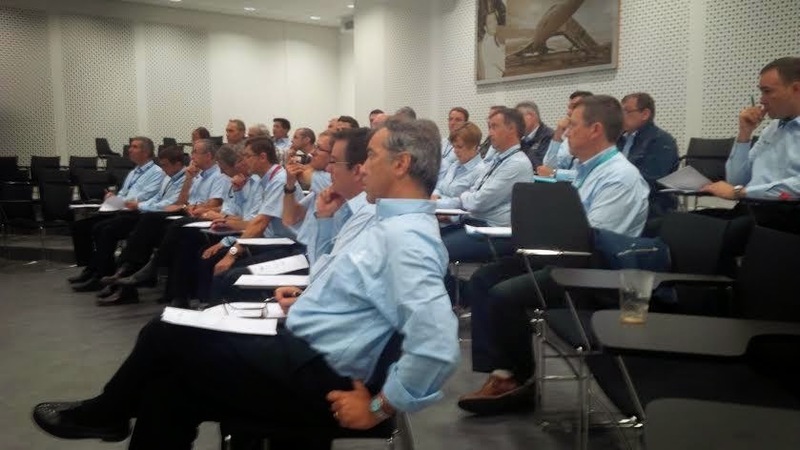 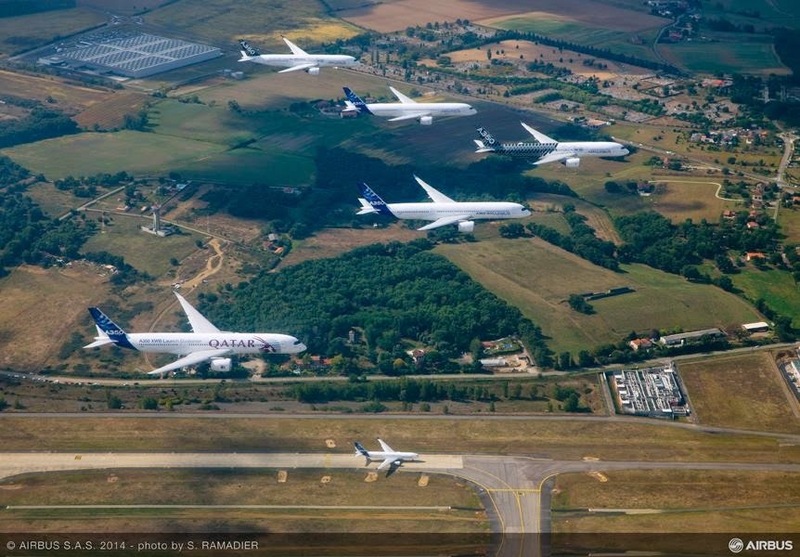 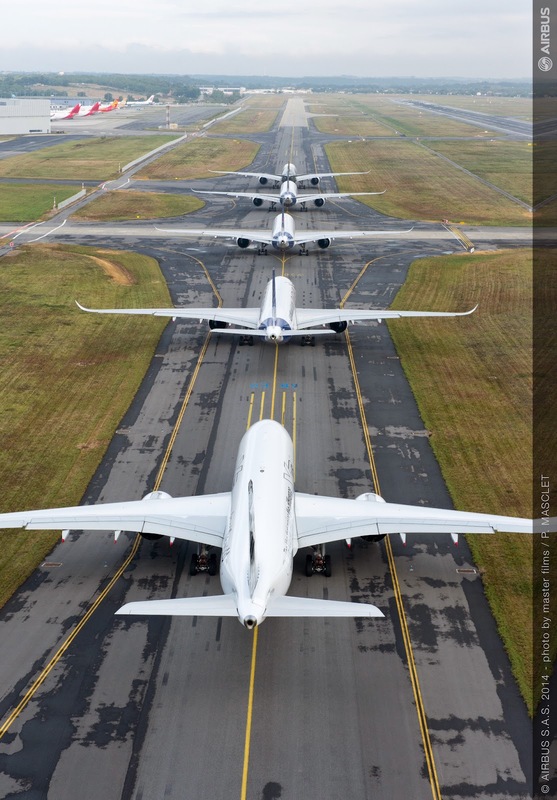 Based on the article "A350s fly in formation ahead of certification" published in FlightGlobal.